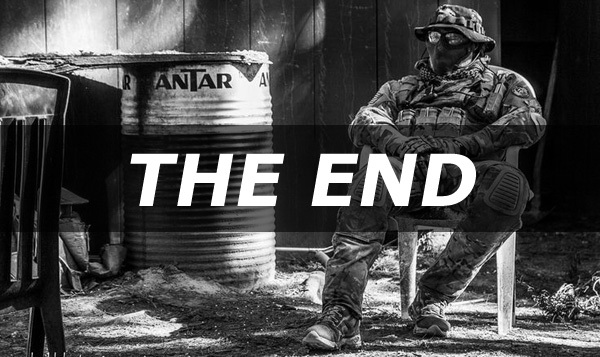 I would like to start this guide with talking about getting to know the airsoft community in your town because the area around you will influence most of your interaction with this sport. Getting to know your fellow airsofters will be highly beneficial to you in the future. Repeat the search but substitute the name of your state with yours and cities around you. After you have a nice collection of websites in your bookmarks. You're ready to begin making accounts. Go to your "Forums" folder under Airsoft in your bookmarks and start making accounts with your preferred username. Try to keep your username the same on all the forums you join. This will make it easier for you to keep track of your accounts on different forums. On these forums you will want to write a simple introduction thread, remember to use proper grammar, and follow any rules on the forum. Fill out any information about yourself and upload a picture for your avatar. Being that your still very new to the community you should keep quiet and don't worry about posting on the forums. Spend this time reading the sticky posts as well as any interesting threads. Being an observer of the main posters and understand their opinions will help you fit in at a later date. If you insist on posting at this time, just respond to posts that you have the answer or some experience that would help the others. After reading the sticky posts and interesting threads, you'll want to search within the forums to find out about the fields and groups of people who play within a reasonable distance from you. Find out if any of the fields nearby will allow you to rent guns. When you find such a field that is the one you want to review first. Spend a day with a rental gun and getting to know the field and other players. Again you should keep quiet and be respectful. No one wants to hear how awesome you are! You can spend this time figuring out who the regulars and the top plays are. Hint: Most regular players are also referees. Also during this time observe how the top players are successful and try to imitate their behaviors. What guns do they use? What gear do they like? If you don't make it seem weird while asking the questions, it should be fun for the both of you. Most people enjoy sharing their experience and opinions. When you have multiple airsoft shops in your area, try selecting a favorite after visiting at least a few stores. If you only have one shop in your area, decide whether you like them or not. If you don't like that shop, no need to worry. You still have the option to us an online reputable retailer that you can purchase from. We will talk about that later. Back to if you did find a shop that you like; remember to take everything that the retailer says with a grain of salt. While they look at you all, they like you for is your money. No matter what they say or do to convince you that you should buy your gun now. Don't! You are only window-airsoft-shopping right now and not buying anything at the moment. You should spend some time reflecting on the people you met and the shops you visited. Are you happy with the style of play (MilSim, CQB, or Historical) that are available within your area? If you are not satisfied with the available options, you can try to grow a group of people to play games against. Another option is to extend your driving distance. The central point of this recommendation is for you to determine the requirements that you will have on your weapon system. Shortly this will be crucial. Your airsoft gun, second only to eye-protection, is, of course, the most necessary piece of your gear in order to play airsoft. That is why there are so many questions asked online about what gun a person should buy. Hopefully, you can use this as a guide on how to purchase your first gun. After reading forums, blogs, websites, and talking with the people at your local shop, you should have notice that the most used primary weapon is the AEG (Automatic Electric Gun). If you didn't realize, now you know and knowing is have the battle, G.I. Joes... whoops got off topic. What are the models that you like? A model is the real firearm the airsoft gun replicates. Examples would be AKs, ARs, M14s, etc. In airsoft, the old saying "You get what you pay for" is true. If your price range is less than $150, you might want to reconsider saving more money. You can by a higher quality gun if your price range is around $400 you have enough to purchase a good quality stock airsoft gun. Now, you must use your imagination. Close your eyes... Think about yourself back at the fields... Wait if your eyes are closed how are you reading this! I know what will work better close your eyes after you read the next couple sentence. Back to imagining yourself at the fields that you decided to play at and think about the class of gun you will be using. I'll use myself as an example - When I closed my eyes, I imagined myself in a CQB arena, which made me think I will need a smaller and more maneuverable weapon because of the tight turns, close range and small rooms. - Now, you can close your eyes and do the same. After you're done, select your top 3 to 5 models that you are interested in. So far, you have your model and price range determined. Now for the fun part, going to various retailers to find which company (JG, KJW, Tokyo Marui, etc.) you would like to buy from. If you have trouble finding any information on the manufacturer of the gun you want, you might want to reconsider not buying it. While you were doing your window-airsoft-shopping phase and talking to other players, you can disregard the velocity (unless it would shoot too hot at your future field's limit). The velocity has very little to do with the range when you're talking about the difference between 300fps and 400fps in a stock gun. If a model from a manufacturer that you like is in your price range, you should be thinking, "AWESOME!" If there isn't one in your price reach, you should be thinking, "NOT AWESOME!" Don't worry all you have to do is change your price range or decide on a different model that you're interested in. Once you settled on your gun, ahead of you is even more. What time is it? Research time! You need to head over to Google, Blogs, Forums and YouTube to read, hear and watch everything related to the gun you are interested in buying. You might want to search through bookmarks folder called "Airsoft" that you made earlier. During this research the wisdom that you gain will guide you on buying your new gun or it will improve your priorities after the purchase. I know you've been itching to write your own post on a forum. Taking into account, you've done all the research available about the airsoft gun you now are ready to write your own topic on a forum. Share all the knowledge that you now understand after all your research. Note: Don't be stupid! Follow all the rules that the forum possesses. Never ask if the gun you're buying is right instead ask specific questions. Can you believe it? It is so exciting! The best part has arrived! Since you have gathered all this information, my young grasshopper you are ready to buy a gun at the retailer of your choice. Go out and spread your wings. When you get back we will talk about accessories. All of them are pretty straightforward. Batteries: Cheaper AEGs (Airsoft Electric Guns) typically comes with a battery, which you can use and not hurt your gun; however an aftermarket battery with the same specification will increase the performance. Keep in mind, a 9.6 battery is typically better than an 8.4 battery. Also, you should go with the largest capacity that can fit in your gun. Use a ruler to measure the dimensions of the battery compartment if you need to. Tip: Avoid a Lithium Polymer (LiPo) battery until you have more experience under your belt. Chargers: A wall charger will come with those same cheaper AEGs. Again they are work fine on your stock battery but if you decided to go with the aftermarket battery buying a universal smart charger is highly recommended. This will prevent you from throwing away your investment away on your aftermarket battery. I would suggest doing some research on LiPo batteries to see if you might want to get one eventually. If you think you will spend a little bit more now and buy a charger that has the capability to charge and balance the LiPo cells. You know the saying, knowledge is power. Knowledge can also save you money in the long run so read some reviews and understand the difference in the batteries and chargers. Magazines: The type will be determined bases on your playing style, choice of gun and the restrictions on your field (sometimes a field requires mid-caps). Mid-Caps are quieter so some players prefer them. On the other hand, some players prefer Hi-Caps for the higher capacity. The only time you would want a box magazine is if you have an airsoft machine gun (SAW). Choose whether you want Hi-Caps or Low-Caps and buy a couple. Get metal bodies if you can. I would recommend buying a few Mid-Caps or a couple Hi-Caps to start with. Pellets/BBs: As a beginner you might not realize how much of an impact of the BBs have on the accuracy, consistency, and all that other stuff. If you want to be efficient on your aim/shooting (we all do), buy yourself some nice quality BBs. The consistency, smoothness, and weight will affect your gun's performance radically. You might think velocity would be on this list, but it not. Range is instead of velocity because range is affected by the hop-up, compression, barrel and so on. Rate of Fire (RoF): Three things will improve the RoF: high-speed motor, higher voltage battery and changing other parts of the wiring system. If you want to go to the extreme, you can attempt a DSG (Dual Sector Gear) or use the different gear ratios. Durability: Simple! Cover your gun with bubble wrap. When it comes to durability, you will want to focus on replacing naturally faulty parts of the Gear Box (GB). A couple ideas would be replacing the piston with a metal rack, the nylon bushings with metal and so on. Another option would be modifying or tuning the GB with slight tweaking on particular parts. You could do an Angle of Engagement (AOE) correction, shimming or addition of an MOSFET unit. Two others include a barrel stabilizer and improving on the compression. If being a technician sounds like something you would like to do, that is great. Having more knowledgeable techies is always a plus. There are plenty of information online and at your local shops to help you figure out whatever extent you want (Airsoft Tech Videos). Being able to modify and upgrade your hop-up, trigger, and so on, is an ultimate high. I must warn you. Working on guns can be difficult, and you should do a lot of research before getting down and dirty with modifications. Be one with the parts and know what you're doing before you begin modifying, so you are not surprised or confused. Once you identify what the parts look like and you believe you know what you're doing. Tip: Before modifications, prepare yourself an area to work at with bright colored backdrops. It will make it simpler to find small parts. Also, use the correct tools. Working on your airsoft gun can be very rewarding; however if you're not one of those people, get to know a reputable and capable technician to work on your gun. Check out your local retailer or ask other players at the field to find a sound technician. If you do the proper research, you should be able to evaluate a techie and know if they are any good. Does your brain feel happy and full of all the information you've learned so far? I put gear and accessories last because you should have a playing location and a functioning airsoft gun before purchasing your ultimate collection of gear. The first thing you should be buying after your gun is your eye protection. Your first instinct might be buying a cheap pair of eye protection but don't underestimate the chance of losing your vision from an airsoft bb. Explanation: I consider gear any item that you use in airsoft that is not a type of weapon, so gear includes: boots, tactical and safety gear, camel backs, clothing, radios, etc. The important gear used for safety; face protection and boots. You might wonder why I listed boots as part of your safety but take it from someone who has twisted their ankle and has had to blisters that prevented me from playing. Take it from me you will want some good boots. Not only will your boots save your feet and ankles but also the rest of your gear and body by preventing you from falling and damaging your body and gear. If you're not sure on which boots to buy you can give Magnum Boots a try. Again I would recommend doing so research one the best boots that fit your needs. Face Protection: You must protect your "money maker" also known as your face that brings me to the next topic face protection. I would recommend a full face mask. You should have your nose, teeth, lips, ears, and eyes covered. Having a BB hit anywhere on your face 5 feet away doesn't feel great. You have a few options in covering your entire face; a balaclava or mesh mask worn with goggles; a paintball mask. Whatever you decide make sure your eyes are fully protected and sealed with an ANSI (American National Standards Institute) rating. Keep in mind, spending a little bit of extra money is worth keeping your "money maker" fresh and clean. Uniforms (BDUs): I do consider the uniform (BDUs) to be another part of your essential equipment. Visit your local thrift store, Miller's Surplus, or amazon.com to get some. The great part is these are usually military grade and should hold up well to the abuse that you will put them through. The camouflage pattern you choose will be based on your location for example if you live in the desert you'll want to get something similar to the Desert Digital pattern. If you live in the forest you'll want something comparable to the Digital Urban pattern. If you're unsure which design to go with, wait until after you see what other players at the field wear. Storage & Transportation: When buying your gear you should consider the important issue of transporting and storing your equipment. If you want to go the simple route a basic gun bag will preserve the looks of the external parts of the airsoft gun. Also, the legality concern of transporting your gun is important to consider too. Always carry your gun in an inconspicuous and secure place in your vehicle with clear indications that it is an airsoft gun. Oh, one last thing on transportation until we are done. Only have your gun in your care while driving to and from the field. MOLLE Platforms: I will finish my rendition of essential gear with the MOLLE (MOdular Lightweight Load-carrying Equipment) platforms. It is every beginner's best friend. This tactical gear allows you to have an area to hold your magazines, extra BBs, water, pistol, and anything else that you wish to carry while playing airsoft. When you're selecting the pattern/color of your tactical gear, it should be based on the natural colors of the environment you're playing in. Selecting the type of MOLLE platform, you have two main options for chest rigs, which are plate carriers and vests. Another option is a harness. Both can be complemented by drop leg platform and belt systems. The basic differences between the two are the storage space. The chest rigs have more storage space with most of it on your chest while the harnesses are lower profile with most of the storage space on your hips. Not this question again... Do you want to bedazzle your gear too? Wait! I'm not even going to start with that. One of the best parts about airsoft is gun upgrades and building specialized sets of gear. If you want to get to know another player just ask them this question, "What type of equipment do you have?" In most situations, you'll have a difficult time getting them to stop talking but remember that is not a bad thing it is a great way to make buddies and understand more about gear. Some players build their gear specifically to be efficient or the coolest looking while others around particular organization requirements or to represent a real soldier gear set. In this section of my guide, I will be focusing on a few pieces of common gear, which are not necessary but can be a valuable part of your game. Each on has their benefits so when you're picking one, select a holster that can mount in different places on your gear. How you store your pistol and magazine is up to you but personally I give my most accessible spot to my primary weapon and assign my pistol to another area. Dump Pouches: Not only good at holding food. I personally us my pouch on the occasions when I actually wear it as an easy disposal bag allowing me to be able to reload quickly. I can dump the empty magazines in the pouch without worrying about losing it. I could see how MilSim (How To Prepare for a MILSIM Weekend) and field players wouldn't find much use other than holding their food in it because when they have an empty magazine they can just put it back into the pouch it came from. Radio & Headset: Being about to communication with your teammates is an enormous advantage vs. other teams. Purchasing radios or headsets as a team can increase productivity and wins under your belt. 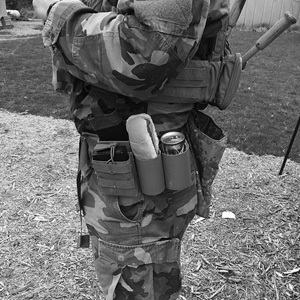 A number of large MilSim games expect and require radios even in CQB arena players use communication devices to coordinate attack and communication positions to their teammates. Midland & Motorola have nice quality radios with headsets that you can get at a reasonable price. Like I've been saying, do the research and ask around before you buy any gear even radios and headsets. Camelback: Especially for MilSim, it is ideal to wear a Camelback or a similar product that is MOLLE compatible. Having your water close and convenient is wonderful in the environment because dehydration can be a serious health issue especially in warmer weather. Remember to keep yourself hydrated; you'll be thanking yourself because making quick decisions will be much easier if you're hydrated. Beyond what I listed here in the gear section of this guide, you have thousands of different types of gear that varies based on the style of game you're playing. It seems like every few weeks Condor, Pantact or Magpul release a now product that will make you .0054 ounces lighter or take a few milliseconds of your reload. Most of this stuff is garbage. Not only garbage but also cost a lot. By sticking with reputable companies, you should be able to avoid most of the crap. With knowledge and experience, you have a better understanding of what you really need and what you would never use. Well... You made it. Pat yourself on the back! 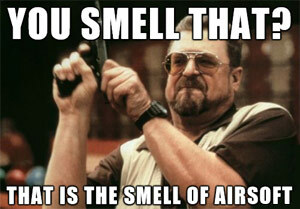 You should have a much better understanding of airsoft and enough knowledge to get you started. What next? Where do you go from here? One option is reading my Free Airsoft Gun Buyer's Guide, which goes in more details on buying your first airsoft gun. Thanks and I hope you enjoyed this guide.